Jay Peak and Garaventa begin major tram overhaul. More positive press for Powder Seeker at Big Sky. There’s a new gondola idea for Mt. Benson in Nanaimo on Vancouver Island, BC. Sky Lift update points to late-April reopening. Austin Wire won’t move forward. Stratton might replace the Snow Bowl quad. Critics file complaint against Belleayre expansion and gondola. Ski Blandford faces worsening financial situation with three aging Hall doubles. Squirrel kills power to three lifts at Eaglecrest. Unofficial Networks profiles outrageous gondolas. British Columbia approves Valemount Glacier with opening targeted for Christmas 2018. Town of Breckenridge study concludes gondola could cost $800-1000 an hour to operate with stations costing $2 million to build. Cabin to tour Staten Island in hopes of drumming up support for gondola. Bridger Bowl celebrates the end of an era with a center pole chair photo contest. Mt. Spokane expansion and new chairlift approved yet again. LST Ropeways’ first detachable opens in La Plagne. Fourteen years since construction started, Magic Mountain may finally finish Green lift. Hello readers- for the next two weeks I am floating the Grand Canyon without access to the internet. I’ve scheduled a few posts for my absence, otherwise lift blogging will resume Nov. 5th –Peter from Flagstaff, Arizona. Ski season launches tomorrow at A-Basin. COO Al Henceroth is also looking for one of the resort’s original single chairs. Silver Mountain reportedly sells for a fire-sale price of $5 million. The resort’s gondola, formerly the world’s longest, cost $8 million in 1990. Doppelmayr goes to Moscow, Poma goes to Barcelona and Orlando. Wire Austin gets a website. Take a ride on the newly-named Hexago six-pack at Le Relais. In case you missed it, Gregg Blanchard of SlopeFillers fame interviewed me about Lift Blog. Woman sues Aspen Skiing Company over loading incident at the Snowmass Village Express. Vail Resorts to debut $100 million in capital improvements for 2016-17 including four new lifts. With Whistler-Blackcomb now Epic, the company will likely invest even more in 2017. Wire Austin gets some attention from folks who matter – the Central Texas Regional Mobility Authority. The deropement and evacuation of the pulse gondola between the Aiguille du Midi and Pointe Helbronner makes CNN. Austria’s Foreign Minister meets with former London Mayor Boris Johnson to talk Brexit. The mayor says the Doppelmayr cowbell that came with the Emirates Air Line is one of his most prized possessions. Federal receiver hopes to sell Jay Peak in the spring, says resort President Bill Stenger was duped. Laurel Mountain’s new Skytrac is complete. Maine’s Attorney General sues the owner of Big Squaw Mountain for not operating the ski area as promised. Tamarack Homeowners meet to discuss the future of Idaho’s newest ski resort ahead of an October lift auction. Owner Credit Suisse and its operator Replay Resorts appear to be on the way out. The owner of Montana Snowbowl tells the Missoulian he started construction on a new TV Mountain lift a few weeks ago and there’s a chance it will be completed in time for the coming winter season. Preservation group calls abandoned mines in American Fork Canyon a “ticking time bomb,” calls on Snowbird to turn private land over to the Forest Service where the resort plans to build two new lifts. Jared Ficklin and Michael McDaniel are co-creators of The Wire, a brand and concept for urban gondolas in what Forbes calls America’s next big boom town. Designers by trade, they began speaking about their vision to tech conferences and business groups in 2012, leading to a TED Talk in early 2013. If the lifts in Zillertal, Austria can move up to seven million people a day, they asked, why haven’t gondolas entered the transportation picture in our densest landscapes? The presentation was enthusiastically received and Jared gave it a second time at TEDx Kansas City in 2013 to a crowd of more than 4,000. 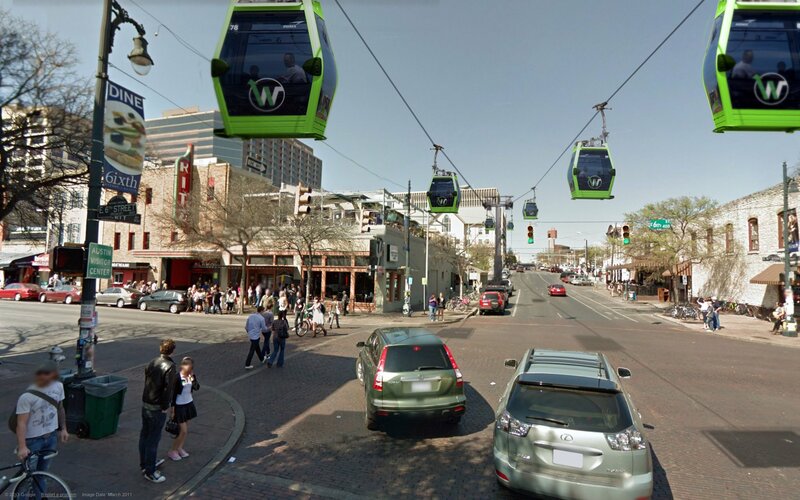 Three years later, Jared and the team at argodesign are at work on a plan for Austin’s first line, Wire One. This week, Jared graciously answered my questions about the project and what comes next. Peter: How did your background as a designer shape your vision for urban cable in Austin? Jared: First it gave me access to amazing people like Michael McDaniel and the whole group of other designers that worked on the original Wire Vision for Austin at frog design. It also gives me more designers here at argodesign that are working on the current vision for the first pilot line in Austin, Wire One. It takes a group of designers to come up with something like The Wire, there has been many who contributed, they are all awesome. Product design is my specialty and really good product design figures out how a technology seamlessly improves the lives of those using it. By contrast, often it seems modern transportation planning begins with a technology looking for a place to be, followed by hoping users will make use of it. As product designers, we came to urban cable from an experiential point of view arrived at using the tools of Design Research & Experience Based Design. After talking to users (people driving around the city) we saw that urban cable is a technology that matches closely the transportation experience Austinites and others in the U.S. are looking to have. Most importantly, urban cable with its unique fitment into the second story and ability to span obstacles can achieve routes people actually want to use. It does this without displacing routes they currently use. We call this principle of doubling the carrying capacity of a route Additive Supply. Culturally, urban cable also offers the personal space and quiet environment people said they would be comfortable in while allowing them to maintain their habits of transportation on demand (also known as not wanting to follow schedules.) By starting with the experience the rider is looking for, we hope to drive adoption and avoid unrealistic costs per rider that ultimately burden the community. I believe the most expensive form of mass transit you can build is the one that nobody uses. Being a designer has given me a chance to work professionally on feasibility studies in partnership with Engineering Specialties Group and others. The experience of studying system feasibility have greatly clarified the current vision for The Wire. This will sound like a plug, but I mean it as advice to those undertaking this design and engineering challenge. Combining the skills of design research & product design with the traditional skills of architecture and engineering is a great mix for designing systems. That mix can bring to bear a full arsenal of knowledge allowing one to really study routing, ridership, cost & experience in very detailed fashion. Anyone doing any kind of transportation feasibility should seek out design researchers and really talk to users from a product standpoint. The end results of system deployments will improve. Peter: Cities in South America, Europe and Asia have urban cable operating today. Which example globally is most similar to The Wire proposal? Jared: Medellín, Caracas or La Paz. 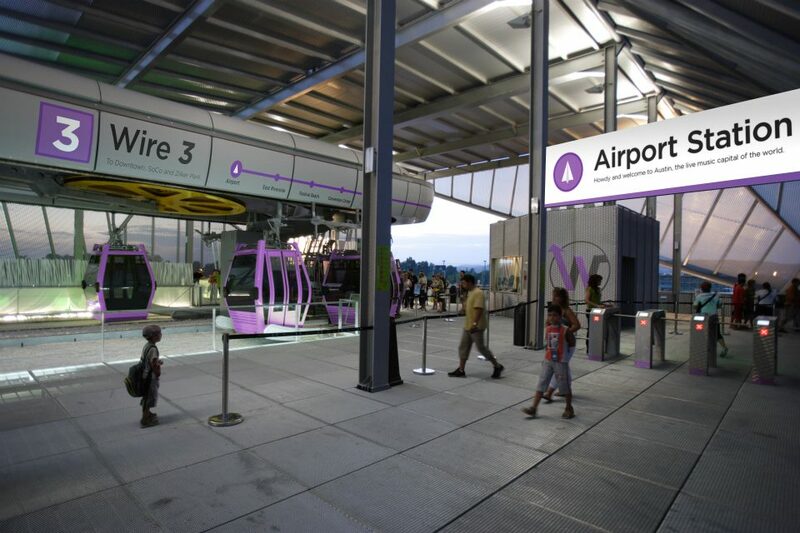 All are purpose-built as mass transit to connect neighborhoods with the city center. They leverage the ability to utilize eminent domain in the least intrusive manner to gain the most benefit per dollar on routes that have a meaningful impact. They considered cultural impact in their design yielding adoption and ridership. These are all things we have envisioned The Wire to have in Austin.